Cantarel, a scholarly scientist, whose enormous wealth imposes no limits upon his prolific ingenuity, is taking a group of visitors on a tour of "Locus Solus," his secluded estate near Paris. 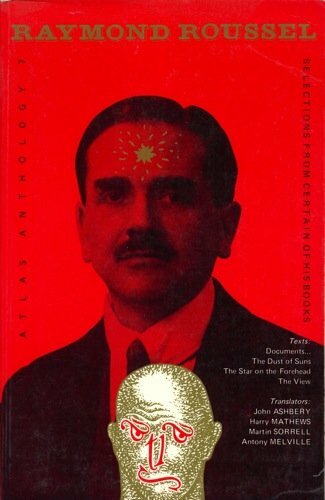 One by one he introduces, demonstrates, and expounds the discoveries and inventions of his fertile, encyclopedic mind. An African mud-sculpture representing a naked child; a road-mender's tool which, when activated by the weather, creates a mosaic of human teeth; a vast aquarium in which humans can breathe and in which a hairless cat is seen stimulating the partially decomposed head of Georges Danton to fresh flights of oratory. 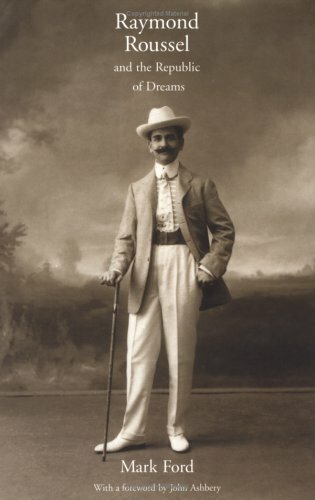 By each item in Cantarel's exhibition there hangs a taleвЂ”a tale only Roussel could tell. As the inventions become more elaborate, the richness and brilliance of the author's stories grow to match them; the flow of his imagination becomes a flood and the reader is swept along in a torrent of wonder and hilarity. I'm all for surrealism, but given the choice between reading an excessively lengthy textual description of a Magritte painting and actually looking at the painting, which would you prefer? If you chose the former, then this book will likely be right up your proverbial alley; everyone else would do well to steer clear--as many publishers obviously have. While it's entirely possible that the formulaic wordplay Roussel employed in his writing might be so interminably clever as to render the French reader dumbfounded, once translated into English, it's just plain dull. While I found the first couple of vignettes wonderfully imaginative and to the point, every successive chapter introduces progressively (and needlessly) more verbose descriptions of complicated machinations which overwhelm the reader with oftentimes irrelevant details, followed by an equally verbose explanation of all the nonsense the reader has just been exposed to. These easily dismissible scenes, while impressively crafted, are not interconnected in any meaningful way and there is never any sort of payoff at any point in the book, leaving me with the feeling that Roussel's primary goal in all of this was that of self-gratification. I could see this material becoming a fascinating short film in this day and age of flashy computer graphics, but reading it was an absolute chore. A word to the wise: This book is still in print in England and can be purchased on amazon.co.uk for SIGNIFICANTLY less than the used copies are going for here. The one I stupidly paid $30 for was actually one of these recent printings bearing a price tag of seven pounds fifty. There's a sea-horse race in this book.Not just a sea-horse race, but a sea-horse race inside a giant diamond-shaped tank of oxygenated fluid that also holds a beautiful submerged woman dancing and creating music with the movement of her locks of hair, sometimes enhancing the gyration of her head with sudden tosses and jostles of her hips.There's not only that, but several automaton devices that use flotation and buoyancy to drive their mechanic parts and act out various historical and mythological scenes.Like Voltaire suddenly doubting his atheistic doctrines, or Atlas kicking a celestial object, or Pilate being branded on the forehead. All of that takes place inside the gigantic diamond-like tank of oxygenated fluid.A very lustrous fluid. By the way, the English translation sometimes calls the sea-horses "hippocampi. "Don't be confused:in context, it means sea-horses.It's not talking about parts of a brain.You might be thinking, "well there's no possible room for confusion there! ", but au contraire.Because inside the tank is also a floating head/face of Danton, composed exclusively of the preserved nerves and musculuture, without any bones or skin.And re-animated with expertly applied electrical currents, courtesy of Canterel and his cat. And they're not just any sea-horses.They're sea-horses equipped with "setons" attached to a shining golden sphere that they themselves created by kneading together small globulets of golden wine that Canterel pours into the tank and lets float down to them. The entire episode I'm talking about took place long after the book had already left my jaw on the floor.In short:read it.You know that "dream-like" quality that hyped books supposedly possess?Say, like "Amnesia Moon"?Well Raymond Roussel accomplishes all that without any narrative tricks, without any deception, without any ill-defined or sensationally blurred "boundaries between dream and reality" or any of that nonsense.Roussel accomplishes his feats the old fashioned way:with elbow grease, and imagination. He accomplishes it by giving everything to you, not hiding things from you. Who is the Canterel I mentioned above?Canterel-- a name that one should never utter aloud except on bended knee-- has the wealth and quirk of Willy Wonka, combined with the wealth and ingenuity of Bruce Wayne.Which makes for a very rich, very marvelous fellow.His estate and private collection puts both of those men's assets to shame, quite extravagantly. As you already know, the book is a narrated trip through some of Canterel's exhibits.He aims to please, though.So don't think that the book will lack character, plot, or suspense just because it's a sort of museum-tour.There's stories within stories that explain the exhibits.And they have everything that archetypically good "stories" have, and more:love, betrayal, forgiveness, fantastic magnanimity, loss, disgrace, lust, vindication.I was breathless waiting for the resolutions of certain tales, practically jumping off my reading-bench to cheer for the characters, or otherwise immobilized by the revelations and vicissitudes. And it's all described soberly, no tricks.By the way, Roussel (though there's a chance it's the translators doing, since I haven't and couldn't read the original French) tells his stories, tells the motivations and actions of characters, with a very skillful use of words, using strong descriptive verbs and nouns.The sentences held together with a unique power.Many times I took great pleasure in re-reading certain sentences, because they were said so absolutely perfectly.Of course, that should be the hallmark of a professional writer, but I don't find it too often. So anyway you'll feel like you're there.You won't even have any disbelief to suspend.At certain points, like a particular early exhibit that I won't name, I said to myself, "There's no going back, this is too fantastic, there's no POSSIBLE EXPLANATION of this, Roussel has crossed the line, this is uncanny and totally unrecoverable at this point, I feel exploited!," and I kept reading, kept reading-kept reading, "by god, no, by GOD HE'S DONE IT!, he's doing it, by god Canterel, Roussel, you've done it, my good holy god unbeliEVABLE!!! Whew.Wow. "I had to close the book for a minute and lean against a fence, nodding my head uncontrollably.When you close this book and put it on your shelf when done, you'll keep suspecting that it's about to burst open and spill out its contents all over your room, neighborhood, and city-- and you'll feel like an angry god for actually having the ability to close the book and contain it. Book will take your breath away.If not check your pulse.Or, try something else.Bye. Certain of his episodes outshine even Hugo or Napoleon! I used to have so much fun reading this book. I remember I miraculously found a copy in some book shop on the far southside of Chicago for $8. One night I was drinking with some classmates shortly after class and I made the mistake of lending this irreplacable book to one of them, which of course the fool never returned nor probably ever read or if he did appreciated. May every curse be piled upon your perfidious little name, punk, which it is a blessing I can't remember it was so long ago. I remember the first time I read Impressions of Africa, right after graduating high school. I was a naive young admirer of Duchamp at the time, and I kept seeing these references to Roussel, and the description of Impressions made it sound like a travel book. Had I known him then I might have expected something like a French William Cobbett. Ha! I don't think I realized something definitely strange was going on in those pages until I reached the part with the father and his sons echoing their voices off of each other's chests with their shirts being stuck to their skin "by some sticky substance", -- the word "substance" somehow set me laughing for a solid twenty, thirty minutes, and all the hilarity, the absurdity of the Incomporables' show that had gone on before were finally apparent to me. I have been a lover of Roussel ever since; the only casualty was my perspective of Duchamp's accomplishment, which is as Duchamp himself admitted greatly indebted to Roussel's. 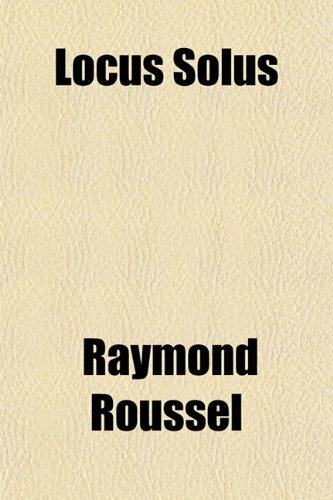 Locus Solus is the book Roussel wrote after Impressions and the two make a pair unlike any other in literature. Locus is presided over by Martial Canteral, a figure right out of Jules Verne, who Roussel once said was a name that should not be spoken aloud "except on bended knee," -- hm, yes -- Canterel is a famous scientist and inventor, and the book is set at his estate where a group of distinguished figures have been invited to a tour of guided by none other than its owner and director. The book follows the tour as one of the eyewitnesses, and the sights along the way are so bizarre, the machinery so complex and beyond any reasonable utility, it quite defies any attempt to describe the effect here. One impression I think that merits a word or two is the apparent lack of emotion in the book. I would say that there is a great amount of sadness and tragedy in the book that adds a kind of under-layer parallel to the encoded sentences of Roussel's method. The vitallium episode, in which Canterel invents a "certain chemical" that makes the bodies of the dead become animate again (but are still dead) has a very particular strain of anguish and loss inherent in its concept. And then there is also the weariness of the visionary experienced by the reader, the author, and the characters being audience to so many impossibilities one after the other piled up so high there is an actual physical exhaustion after the conclusion. And then of course there is also the tragedy of the author himself, who had both novels lavishly adapted for the theater, and created two of the most colossal failures in the history of drama, causing riots and scandal at the showings and humiliation to the author. He ended up a pitiful man, addicted to drugs and having spent all his fortune, he killed himself in his forties with a great dream "of a glory that shall outshine that of Victor Hugo or Napoleon." This is not a book for everyone, perhaps even for very few. However there is no good reason these two books are out of print. It is long past time they are reprinted and Roussel be given the honor he deserves. i read this book when i was about 13 and i have been wanting to read it again for 17 years.i remember it only vaguely, but i know it was good.please mister publisher, print it again. INVALUABLE for translation of "Documents to Serve as Outline"
1)This book is a big grab-bag of Roussel material.For one thing, it has long excerpts from his two big novels, and from his poetry, and so on.There's plenty of annotations. 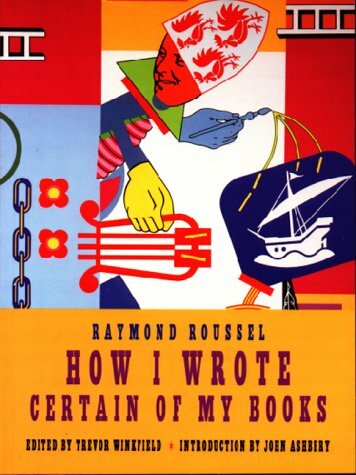 2)It also includes Roussel's essay about his method, wherein he describes how he composed some of his books (hence the misleading book title "How I Wrote Certain of My Books", which is also the title of the essay). 3)But it goes beyond being a mere sampler, because some of the pieces are not available anywhere else in English.Especially the best piece, "Documents to Serve as an Outline", which is fully narrated over 80 pages, and is NOT an outline, so don't be scared. 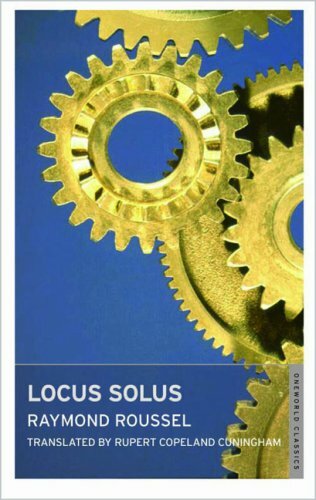 If you want to dive in to Roussel with a full-length work, you should find Cunningham's translation of Locus Solus (very hard to find, unless your library has over 25 floors, which mine did) and read that first. Personally I would have paid the $15 entry price here even if the only thing included was the fantastic "Documents To Serve As An Outline. 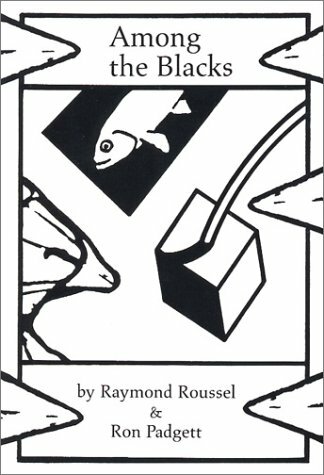 "You cannot find this piece anywhere else in English, unlike the novels, and it's the best part of the "How I Wrote" package.I know the title "Documents To Serve As An Outline" doesn't sound very entertaining, but rest assured that it is fully narrated, not an outline, and that it's incredible.Apparently Roussel would have expanded it, if he had lived longer. A lot of the publicity material surrounding Roussel's work is misleading, in that it makes his style sound radical or experimental (or "distorted" or "enigmatic"-- see the professional review quoted by Amazon).Years ago when I first read Roussel, he surpassed my wildest hopes and his work had none of the pitfalls or turn-offs that I expected from all the publicity that I'd read. 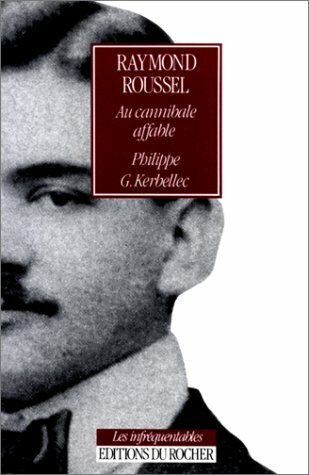 The under-rated and over-looked part of Roussel, yet the part that unfolds off the very pages to fill up your bedroom and neighborhood, is the sheer genius of story-telling. You'll happily find that genius here in "Documents To Serve as an Outline" (a posthumously published work, contained in the current volume), but it's also on good display in the separate and hard-to-find novel Locus Solus that appears as an excerpt sample here. Roussel has a dazzling ability to pull endless heroes, villains, conspirators, thieves, secret-lovers, bards, misers, emperors, cultists, oracles, shamans, hermits, out of thin air and explain to you-- richly and convincingly, yet with incredible concision-- their adventures and their tribulations, and more importantly give details as to how their adventures and tribulations have repercussions across time and across the generations of his fictional worlds.The total effect is like looking at an unrolled tapestry or quilt in which you view depictions of countless essential scenes, each one involving some tremendous or trivial historical anecdote that is intricately linked to the historical scenes on the other patches. These tales (in "Documents To Serve"; but also in Locus Solus etc) have everything that archetypically great stories have, and more: love, betrayal, tyranny, forgiveness, fantastic magnanimity, loss, disgrace, lust, executions, exonerations, vindication, solitude, comedy, crime.Most of the time at the end of a section I would sit there shaking my head back and forth, simply trying to digest what I'd just witnessed, in a kind of disbelief about how intense I found it. Roussel's method will always hog all the attention, but it's the least striking part of his work.You can rest easy: Roussel is not a gimmick writer, and his books are not sequences of wordplay.He's been called "dream-like", but most authors described in that way usually cast a kind of haze over what they write in order to achieve such an effect.Roussel on the other hand gives you everything, and hides nothing.He is fully traditional with his voice and with his narrator's relationship with the reader: there are no narrative tricks whatsoever, no shifting viewpoints, no "blurring of the lines" between reality and dream, no nonsense. Mark my words: a living man who had the ability to dash off characters and stories, and stories within stories, off-the-cuff, that approached what Roussel accomplishes in "Documents To Serve As An Outline" would be loved by children at family reunions, and nobody would let him alone for 2 seconds, they would want to hear more. And throughout it all, Roussel remains one of the most concise but vivid writers I've ever read. He strives for and reaches the highest (some would say eccentrically high) standards of clarity. The efficiency and vividness of his prose has a unique power.Read it. 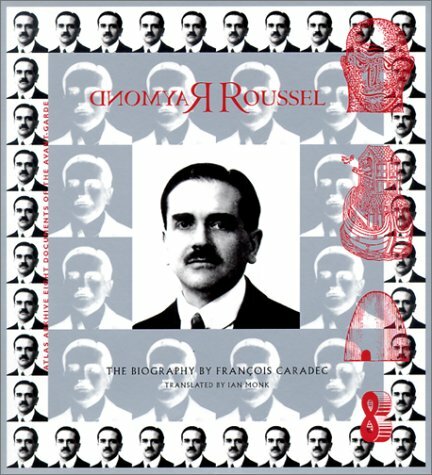 Roussel's fame (or notoriety) always rests on people's fascination with the mechanical/linguistic process that yielded the starting ingredients for his compositions, rather than what he achieved in terms of raw narration when he expanded upon those ingredients into book-length work. These achievements deserve independent and special recognition but have been overshadowed by the sensation of his method. You can read for yourself Roussel's explanation of his method in this very volume--he gives an essay detailing how he came up with the ingredients for his novel Impressions of Africa. As he himself documents, the method yields only a relative handful of words and ideas that serve as ingredients and kick-starters for his imagination.The finished work of Impressions of Africa is some 300 pages long, fleshed out by conventional artistic means shared by all writers.Roussel used the linguistic/mechanical methods only as a treasure chest of ideas (especially for peculiar artifacts that appear in the plots).He did the usual craftsman's work of filling out stories with visionary narrative skill.His books are never described in this way simply because his homophone method is an easier and more sensational thing for people to talk about. So what's the bad news about this book? WELL: The "Documents to Serve as an Outline" only adds up to about 80 pages-- Roussel died and never finished the project.Don't be scared, by the way: the so-called "outlines" are not outlines at all, and are free-standing and self-sufficient stories. Nevertheless, the title implies that they're a mere skeleton of what the man ultimately envisioned. So I suppose you'd consider that a let-down if you were a stickler. BONUSES: "How I Wrote Certain Of My Books" also has a comprehensive (and even temperamental?) bibliography, has informative end-notes, includes a mysterious set of illustrations that Roussel himself commissioned (Salvador Dali of all people has sung lavish praises for the commission), and in all honesty the book has a beautiful blue inside-cover (paperback) the likes of which I've never seen. This is a good introduction to an obscure French writer. Unfortunately, this is the only English translation available of Impressions d'Afrique. Alexis Lykiard, one translator of LautrГ©amont's Maldoror, spends five pages and many footnotes mercilessly rebuking previous translators of that work; you do not, however, need to be a masterful translator, or even know any French at all, to see the problems with this translation of Roussel's Impressions. At first these errors and typos are confusing, then irritating, and eventually you just regret spending money on the book (sometimes though, to be fair, it looks as if it were actually the fault of the proofreader(s).) There are awkward literalisms (on page 65 the English is "A head without a body...standing on a large red disc, fitted with an iron frame to prevent it from toppling over. This way was Philippo." The French is nothing stranger than "tel Г©tait Philippo." Then on 202, "Talu...had just precipitated himself into Sirdah's hut" translates the French "se prГ©cipiter," which just means to hurry or rush); weird attempts at colloquialisms (an animal's tongue is in French like "une platine humaine"---which in English becomes "like those which gabble in the human gob"); weirder typos (on 88, "...quickly detaching the scales, which dropped into leucoma the current and soon disappeared..."--- or nonce words like "divurgent" and "frabrics"); and things that are just plain bizarre, like on 223, on preparations for a theatrical performance, "the procedure did not obviate all need for suppers" (translating "...n'excluait pas toute figuration.") There are also unfortunate approximations (an African child carried off by a large bird becomes "the little monkey," translating "espiГЁgle," which my dictionary defines as mischievous, prankish, roguish). 177, "...because of a legend that peopled its darkness and maleficent spirits" (for "qui peuplait ses ombrages de gГ©nies malfaisants")-- "and" should be "with." About a picked body of us?!? You don't have to be a pedantic nit-picker to see that something is very wrong here. All you have to be is a first-time reader of Roussel, with no other options to choose from. Hopefully somebody will come out with something better soon. Ah, Don't You Love Obscurity? Here's something you don't see every day.Impressions of Africa by Raymond Roussel, a guy I've never heard of.In fact, you have to go WAY out of your way to get your hands on a copy of this book.So why the heck did I get it?Well, I read in another book that a Salvador Dali picture entitled "Impressions of Africa" was based on a book, so I did some research and one thing led to another, and here I am reviewing this specific title. I only found one thing bad about the book, and I'm going to discuss that right away.This one thing happens two times, but it's the same phenomenon causing the same problem.It happens first in describing a chemist (I think his name is Bex) and his precious stone locating machine, and again in describing an inventor (I think his name is Bedu) and his weaving machine.In both scenarios, there's lots of terminology involved in the description of how both machines work, and it bores me to death.I think these parts could have really been shortened.But perhaps I would have enjoyed the weaving scene more if I knew what half the words meant.What the heck do I know about weaving in the first half of the 20th century?I'm freakin' 26 years old. Everything else about the book was great.There's no plot through the first half of the book whatsoever.It's just a bunch of folks putting on various interesting displays at a crowning ceremony.There are a few violent punishments too, but each of those is quite short. One fellow is throwing magic pills into a pool of water that create ripples in the shape of detailed pictures, another is playing like ten instruments at a time even though he has no arms or legs, and another is demonstrating how a worm can play a zither.Lots of interesting stuff happens really fast, except for the two scenes previously mentioned. Then the second half of the book is an actual story, with a bunch of short stories mixed in.The short stories mostly tell how each character chose to display such and such performance at the crowning of the new African emperor, and the actual story tells the history of the family roots of the Emperor and a bitter feud he had with another tribe. My favorite short story is about this one fellow who loves the ocean and wants to see what's on the bottom so much, he puts himself in a deathlike state until he can actually sleepwalk into the ocean without drowning.When he comes back with some coral-like momentos from his long dreamed of trip, he discovers he can make them come to life if he gives them some of his blood clots to eat.Definitely stuff you don't see every day. 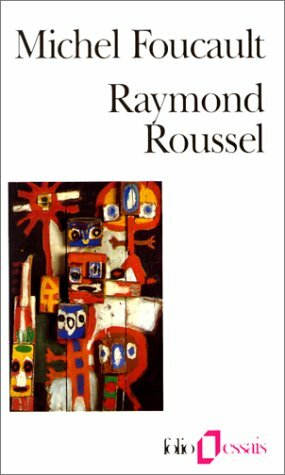 Roussel's work paints a picture of Africa as a very interesting and unusual land.A perfect setting for this kind of obscure book.It's definitely worth checking out for anyone who's into surrealism. A precurser to Surrealism, this gem of French literature is not to be overlooked despite it's "out of print" status. The imagery in this book is nothing short of amazing and the oddly structured "plot" easily holds your attention throughout the book. In fact, the imagery alone is worth the price you may have to pay tracking this book down. When I started reading the book my attention was immediatly drawn into the bizzare descriptions of absurd machines and circus-like performances that made little sense at the time. It was hard to stop laughing at some of the off the wall images my mind conjured while reading and when the pangs of laughter finally alleviated I couldn't put the book down. The second half is full of explainations about what you just read and introduces the characters and setting from the first part of the book. I highly recommend this book to anyone who enjoys Surrealism or experimental literature. It really doesn't get much better. A sadly out of print classic of experimental literature. Shipwrecked European travelers are held for ransom in an imaginary Africankingdom. While they wait for the payment they set up a series ofentertainments to keep their spirits up. 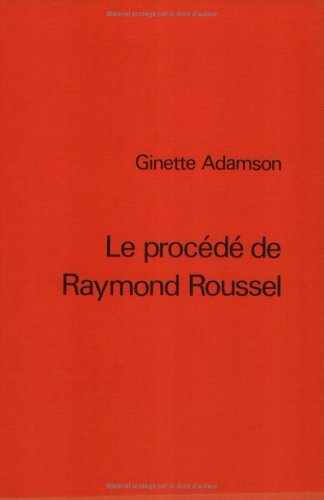 These performancesare the mainfocus of Roussel's book, an often neglected classic of experimentalliterature. The first half comprises objective descriptions of bizarreindividual talents and strange "technological" demonstrations.The second half explains to the reader what he has just read: thebackground of the participants and the origins of their skills. I don't read French either, so my review, qua review, will be quite as useless as yours. Since you blindly gave the book one star for its being in French, I'll give it five for precisely the same reason. 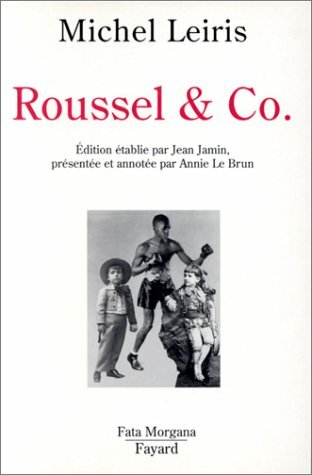 I'm not sure what the strategy was.. Maybe Roussel's story was so small, the publishers know they couldn't release it on its own and so had Padgett write an unrelated story with the TINIEST bit of similar ideas (oh, Roussel's character is among black people albeit in a surreal, twisted story.. I think Padgett should have a dry memoir about being around black people.. Hmm.. yeah that fits!). Disregard Padgett's self-absorbed story and just read Roussel's. It's a pretty fevered account of proto-surrealism.